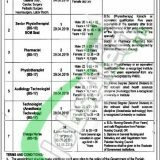 In the following, you’ll have Jinnah Hospital Lahore Jobs 2019 Male & Female BS-18 to BS-16 Latest Advertisement. Jobs in Jinnah Hospital Lahore are available and it is seeking for highly educated, very experienced, hardworking and well-disciplined candidates for the following positions given below. Jobs to apply are such as (Medical Officers & Women Medical Officers (BS-17), Senior Physiotherapist (BS-18), Pharmacist (BS-17), Physiotherapist (BS-17), Audiology Technologist (BS-17), Technologist (Anesthesia Technology) (BS-17), Charge Nurse (BS-16)). Appointment of vacant positions will be done on a purely ad-hoc basis as per the recruitment policy of the Government of Punjab and the duration of the contract will be one year is extendable on satisfactory performance. Candidates having Lahore domicile are welcome to apply but before they apply for any position they are advised to compare themselves with the eligibility criteria mentioned in the following image and according to the criteria candidates should have a qualification from MBBS/B.Sc/Pharm-D, BS (Hons.) with relevant diploma and experience as per the eligibility criteria. Age of candidates should be between 21 to 50 years. So, only those candidates who fulfill all requirements should apply as per the following how to apply procedure given in the next heading. Applications along with attested copies of educational certificate, experience certificate, diplomas, CNIC, domicile and recent photographs should reach on the following address given below. Candidates working Government / Semi Government Sector should apply through proper channel. Incomplete applications or applications received after closing date. Test / Interviews will be held according to the schedule mentioned in the following image. No TA/DA will be paid by the authority to any candidate during the selection procedure. 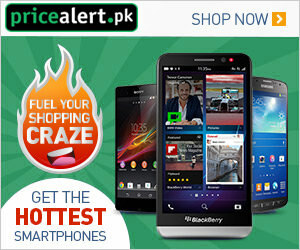 Address: Jinnah Hospital Lahore, Usmani Rd, Punjab University New Campus, Lahore, Punjab 54550.